It was even worse 40 years before, the RiB continued. A group of old-timers sat along the back wall of Wayne’s Café, in precise order. Should you inadvertently try to sit in their midst, you might either be informed that “they were saving that particular chair for someone else,” or else you were glared at until you moved voluntarily. Later, in the 1990s according to Don “Rocky” Margolis, Jim Marlin brought the idea for the Red Badge program, or New Member Integration Program, from his previous club in Nebraska. Boulder Rotary’s three newest members, Rocky, Norma Ekstrand, and Carl Scott, attended the first meeting in 1997. All are still members of the club some 22 years later. Jim appointed Rocky as the first Red Badge chair. The new members wore distinctive red badges for their first six months in the club. 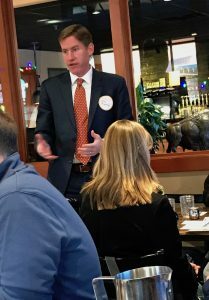 The first Red Badge Society meeting featured Jack Rummel talking about the Rotary Foundation. The red badgers met in the back room of the Buff Restaurant, where the group meets to this day – only the restaurant has moved across the street. 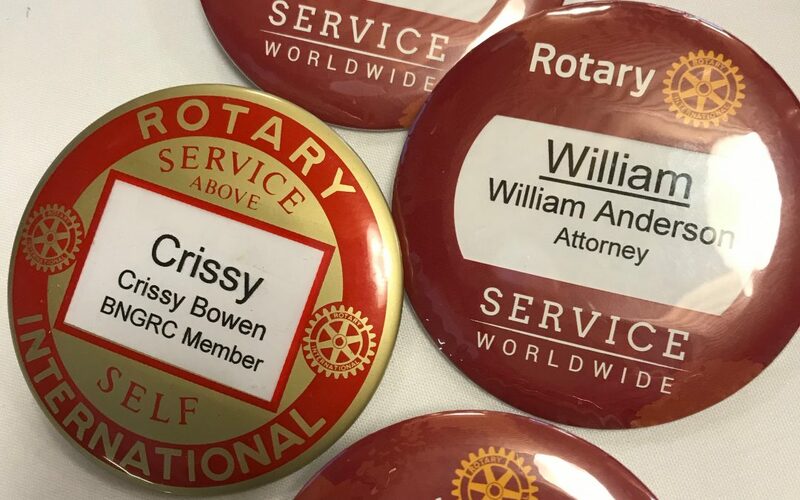 Contrary to what some members think, a Red Badge does not indicate a probationary period. Red Badgers are members from their first introduction to the club. 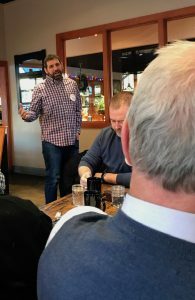 During their first six months they are strongly urged to attend monthly meetings on the first Wednesday of the month at 7:15 a.m. at the Buff. 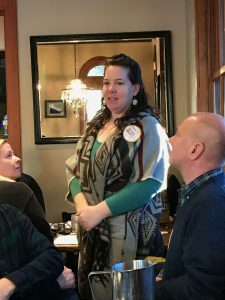 This is an invaluable way to learn about Boulder Rotary and all the wonderful things we do. And old members can benefit from these meetings, too. Look for our Red Badgers, and make them welcome!